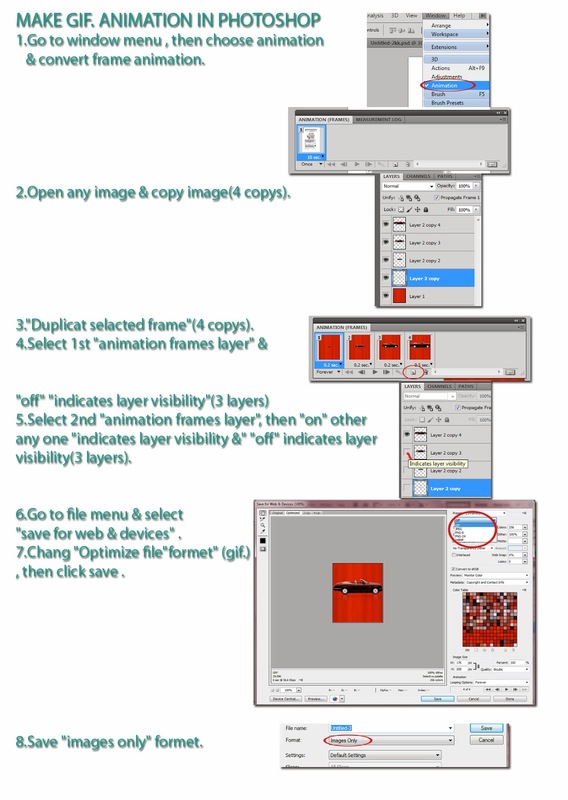 1.Go to window menu , then choose animation & convert frame animation. 2.Open any image & copy image(4 copys). 5.Select 2nd "animation frames layer", then "on" other any one "indicates layer visibility &" "off" indicates layer visibility(3 layers). 6.Go to file menu & select "save for web & devices" . 7.Chang "Optimize file"formet" (gif.) , then click save .